In 2002 WM Spilhaus Boland Pty Ltd was established to secure a management buy out of the Bellville Branch of the Spilhaus group then owned by WPK (Kaap Agri) We are a privately owned company. In 2004 we secured the rights to import Rain Bird Turf irrigation products. In 2005 we supplied the first Rain Bird turf site control system in South Africa. We have sold more since then. In 2006 we secured the agency to sell Grundfos SP, NK and CR pumps into the irrigation industry. 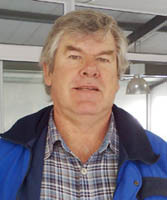 Spilhaus Boland is owned by Christo van Zyl and Keith Munro. Started his irrigation career at Agriplas (Red) in 1979. Christo was one of the first designer members approved by SABI in 1999. He has worked in the then Transvaal and Cape with drip, micro and macro irrigation (flood and centre pivots). Keith joined Spilhaus in 1999. Christo and Keith started Spilhaus Boland in 2002. Studied at NMMU in Port Elizabeth. Owned a successful contracting company based in Somerset West. 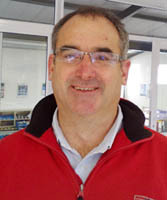 Keith joined Spilhaus Boland for the management buy out in 2002.